If you’re hitting the beach, naturally you’re going to bring some food and drinks along with you. However, while preparing for the heat on your body – also plan on the effects of heat on your food. 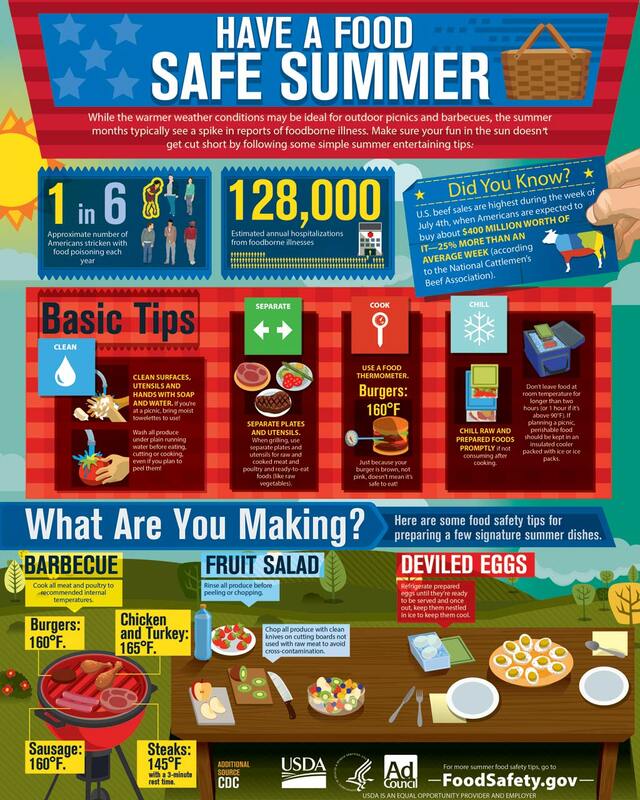 Foodborne illnesses increase during the summer because not only does bacteria multiply faster in warmer temperatures, but preparing food outdoors makes safe food handling more challenging. Some of the more common culprits of foodborne illnesses include E. coli, salmonella and campylobacter, resulting in a variety of gastrointestinal symptoms, ranging from mild to severe. Limit food. Take along only the amount of food that can be eaten to avoid having leftovers. Keep coolers out of sunlight. Coolers should be partially buried in the sand, covered with blankets and in the shade of a beach umbrella. Grilling ordinances. If grilling, make sure local ordinances allow it. Keep clean. Bring along moist towelettes for cleaning hands. Use well-insulated cooler. Use an insulated cooler filled with ice or frozen gel packs. Frozen food can also be used as a cold source. Types of food that need cold. Foods that need to be kept cold include raw meat, poultry, and seafood; deli and luncheon meats or sandwiches; summer salads (tuna, chicken, egg, pasta, or seafood); cut up fruit and vegetables; and perishable dairy products. Keep cooler in shade. A full cooler will maintain its cold temperature longer than a partially filled one. When using a cooler, keep it out of the direct sun by placing it in the shade or shelter. Keep cooler closed. Avoid opening the cooler repeatedly so that your food stays colder longer. Use the 2-hour rule. Perishable food should not sit out for more than two hours. In hot weather (above 90 °F), food should NEVER sit out for more than one hour. Serve smaller portions. Serve cold food in small portions, and keep the rest in the cooler. After cooking meat and poultry on the grill, keep it hot until served – at 140 °F or warmer. Keep hot food hot. Keep hot food hot by setting it to the side of the grill rack, not directly. 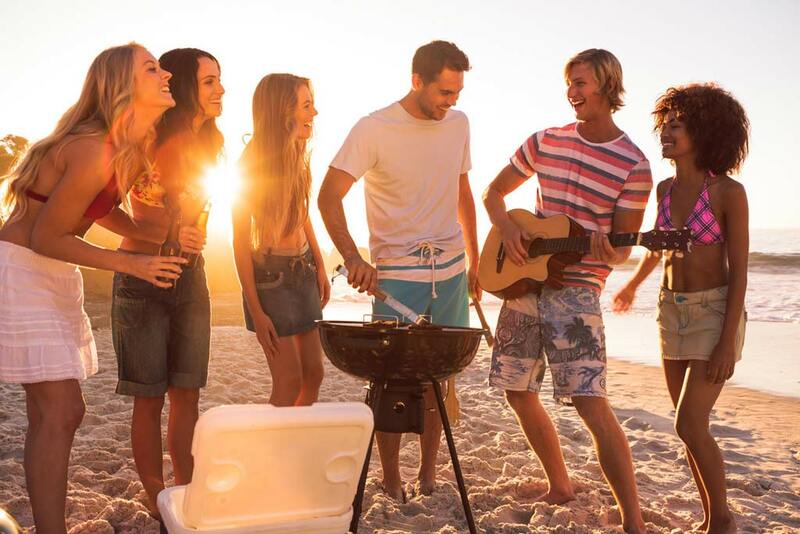 So, if you’re planning a beach outing, make sure you follow certain food safety principles and procedures to ensure foodborne illness does not ruin your fun.